Weighing not much more than a pair of running shoes, LifeBike®is fully portable, and allows you to stay healthy, maintain good circulation, lose weight, and exercise virtually anywhere! LA Rams Coach LifeBikes While Working for the Next Win! Zak Kromer, Offensive Assistant Coach for the Los Angeles Rams, shares his love of LifeBiking during his 15-hour work days. LifeBike® gives Zak an offensive advantage by boosting his energy and focus while strategizing for the next game. The LA Rams are currently ranked #1 in the NFL! Go Rams! Go LifeBike! The LA Rams are LifeBike’s Newest Customers! 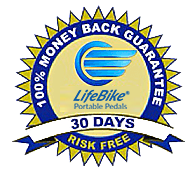 Successful Business Owner Shares Benefits of Using LifeBike® Portable Pedals at Work. Debra Poneman, NY Times Best-selling Author and Success Expert Loves Burning Calories and Boosting Productivity with LifeBike®. This Woman is Happy to Have Her LifeBike® on Vacation. 84 Year Old Woman Shows How LifeBike® Keeps Her Healthy! Sharon is the female founder of Team Maximizer Consulting. As a busy business owner, she says she really appreciates being able to LifeBike® anywhere she works. She’s so happy that she’s burning calories and boosting her productivity (increased blood flow to her brain) while she works in her beautiful backyard! 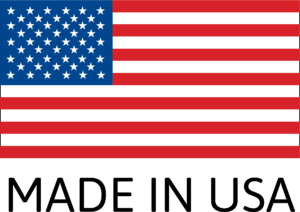 Thanks for sharing your LifeBike testimonial with us, Sharon! NYT #1 bestselling author, Katherine Woodward Thomas, doesn’t want to choose between her wellness and her work. That’s why she says she loves to LifeBike® while she writes! Thanks for sharing, Katherine! Don’t Just Sit There. Pedal While You Study with LifeBike® Portable Pedals at school. “I recently took a long flight from Baltimore to Hawaii. I am a breast cancer survivor and suffer from localized Lymphedema in the armpit where my lymph nodes were removed. The compression shirt I used to wear was stifling and uncomfortable, not to mention hideous looking. I have been looking for an alternative and have found it in LifeBike. It’s quiet and unobtrusive. “As a nurse scientist specializing in cardiovascular risk prevention and reduction, I was concerned with the possibility of Deep Vein Thrombosis (DVT) when flying to a meeting I needed to attend in Singapore. Having searched the internet looking for adequate preventive measures, I came upon an article on the LifeBike. I immediately contacted Robin and she was kind enough to deliver one just prior to my embarking on the 20-hour flight. I had no issues going through Customs or security. The LifeBike was light and easy to carry. Onboard it was not disruptive and several other passengers asked to try it out. I pedaled almost every hour for at least 10 minutes and felt fine when I reached my destination. I don’t know what I would have done without it! No amount of walking around the cabin or stretching in the galley compared to the exercise I was able to achieve with the LifeBike in the comfort of my own seat. I want to thank you for this ingenious invention of LifeBike. I think it is fabulous. I had a problem with warning up my hands and feet at my cold office. When I pedal, I notice the chill in my extremities subsides. Thank you for that! “Any and everyone can take part in our own personal health, no matter the circumstance. I am challenged with health issues that keep me inside and sort of immobile. LifeBike has given me the option to put my legs in motion, get my circulation going and burn calories as my sedentary lifestyle has caused weight gain. I am also proud of my 88-year old mama, for she uses the LifeBike as often as she can and she enjoys it. I have the LifeBike set up in my room giving us an opportunity to pedal while sharing our thoughts and day with each other. It’s great! If I don’t feel like talking, I can also turn on the Telly and we both can watch as we take turns pedaling. Thank you, Robin, for giving me/us high hopes for a better health of mind and body. Take care and have a wonderful LifeBike journey! I have found that LifeBike has done wonders for my legs. I am 88 years old and it is an easy way to exercise my legs sitting. I recommend it without reservation..